If you're a Linn fan (and thousands are) you're in for a treat. News has just reached us that ex-Linn PR guru of 15 years, Brian Morris, has teamed up with former Linn colleague Trevor Liddle, to set up the ultimate Linn hi-fi demonstration facility in the UK, called House of Linn. 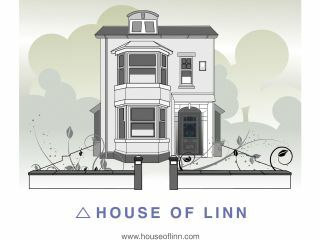 House of Linn is a real house and a dream come true for Linnists. It specialises exclusively in reference demonstrations, sales, installation, service, upgrades, advice and aftercare for all Linn source, control and playback components. It contains four principle demo rooms, which are all real living rooms, plus Linn multi-room systems in the halls, bathrooms and bedrooms. Commenting on the new venture, Brian Morris explained: "we are delighted to be now offering a new and exciting way to audition and own the world's best hi-fi". House of Linn is open seven days a week and customers are seen by appointment only, on a one-to-one basis. The new facility contains the complete analogue and digital playback components from Linn, and includes dedicated Komri, Artikulat, Majik and Akurat rooms. It is described as a "centre of excellence" and is independently owned by the two aforementioned former Senior Linn employees, Brian Morris and Trevor Liddle.